When it comes to celebrating student achievement, no one does it better than Get Schooled. 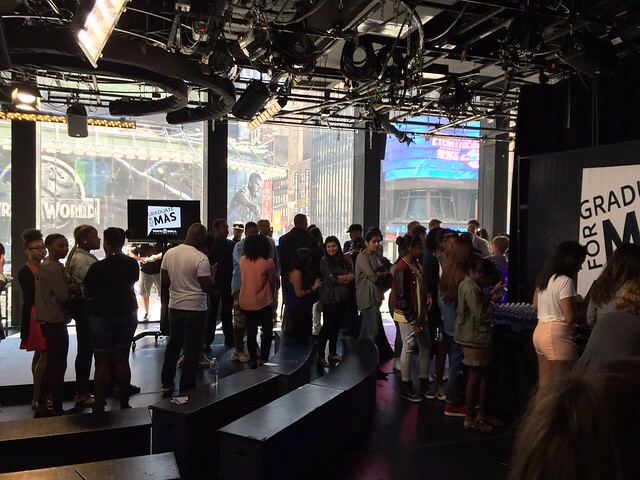 Together with Taco Bell Foundation and Viacom, we hosted 40 students and their friends at MTV Studios for an exclusive Graduate For Más #TimesSquareYearbook celebration. 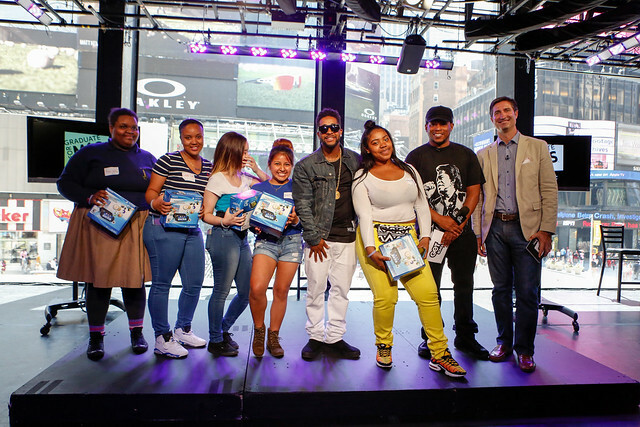 Students got to meet the Taco Bell CEO Brian Niccol, Sirius XM's Sway Calloway, and "Post to Be" singer, Omarion, before watching their faces light up the giant digital billboards in Times Square! Over 500 students were featured in the Third Annual Times Square Yearbook which recognizes high school students around the country for the awesome ways they are blazing their own paths toward success in life. To check out the billboard action, follow #TimesSquareYearbook on Twitter. 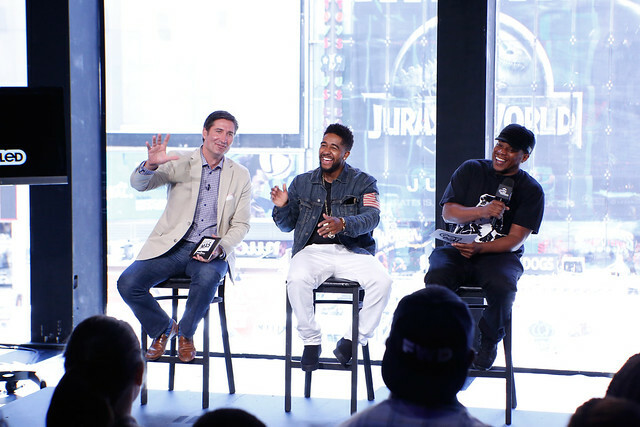 "A lot of times we offer people opportunities and they don't know if it's true," said celebrity host Sway Calloway. "When you see opportunity in your face you should take it. It can change your life." One wise student took Sway's words to heart and immediately seized the opportunity to ask Omarion to prom. No word on his final answer! The lucky students also got a chance to perform in front of the celebrity guests in a very competitive lip sync battle. Team Squad annihilated the competition, emerging victorious and walked away with PS Vitas. Then we did some next level stuff when Brian Niccol announced that every Times Square Yearbook honoree in attendance would receive a $1,000 scholarship for college! With excitement and disbelief running high, the students broke out into an impromptu dance party with "Post to Be" as the celebration soundtrack. All that dancing meant students worked up an appetite which they satisfied with a taco feast. As you can tell, the line was deep. Check out our Instagram and Twitter for more pictures from today!